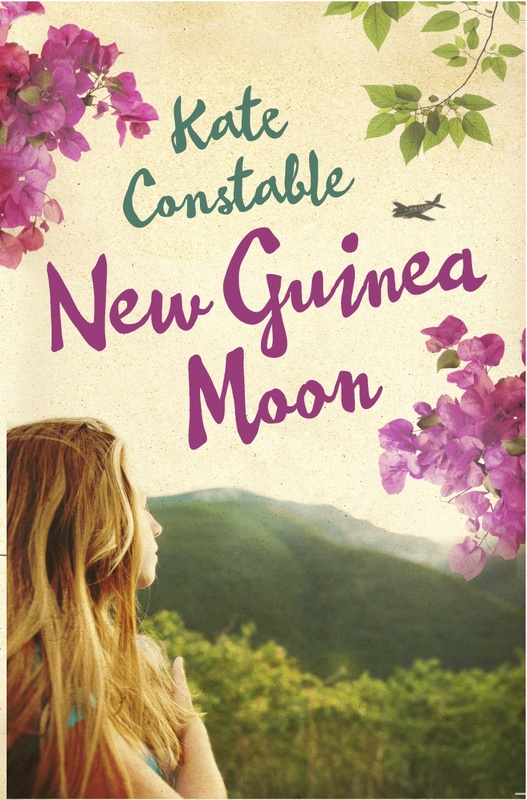 New Guinea Moon is set in Papua New Guinea during the summer of 1974-75, the summer before PNG got Independence from Australia. I spent most of my childhood in Papua New Guinea in the 1970s and I've always wanted to write about that time and place, but I was never quite sure how to approach it. It's partly based on my own memories, partly based on a lot of reading and research, but the actual story is all made up. 4) What actors would you choose to play your characters in a movie rendition? Ryan can be played by Blake Davis (though he is slightly too good-looking to be Ryan, really). He needs to be sulky. And maybe Aaron McGrath as Simon? He was so good in Redfern Now as the school boy who refused to stand for the national anthem -- a perfect combination of self-containment and pride, but inner vulnerability - he would be a fantastic Simon. He's too young though - but by the time they make the movie, he'll be the right age! Hey, this was a good exercise, actually, I'm glad I did this! New Guinea Moon will be published by Allen and Unwin in March 2013. I spent about three years working on this book, and it changed shape and form many, many times. There are eighteen partial first drafts on my laptop, and three or four versions of the final manuscript. Hm, not sure... Towards the end, I had in the back of my mind the beautiful, painfully sensitive books of Rumer Godden, books like The Peacock Spring or Kingfishers Catch Fire or The Greengage Summer, where growing up and culture shock go hand in hand. Not that New Guinea Moon resembles those books, really, but that was what I was aiming for! I think Australia's involvement with PNG is a really under-explored part of our history. But almost everyone I discussed this book with would say, oh, my uncle lived in New Guinea, or I was born there, or my sister spent some time in PNG. There are so many Australians with a link to the country, yet it doesn't seem to be talked about very often. Maybe there is some element of shame about our colonial past, it's as if we don't know how to talk about that history. I'm really fascinated by that silence; it's like a secret history that you only know about if you were actually there. But I'm glad that just recently a few (adult) books about that period of PNG history have been published -- like Drusilla Modjeska's The Mountain and Jon Doust's To The Highlands. So perhaps the time is ripe. What, that's not enough?? It also has aeroplanes, and earthquakes, and heartbreak, and hope. I'm not tagging anyone else because I don't know who else to tag. Sorry. Long before I became a football tragic, I was a cricket-lover. With a handful of fellow incompetents at my girls' school, we'd take bat and stumps up to the top corner of the hockey field and vaguely hit the ball around - a far cry from the almost professional gamesmanship exercised by Nicola Marlow and her team-mates in The Cricket Term. (I finally succumbed to temptation and treated myself to a second-hand copy of this beloved text of my adolescence - it wasn't even very expensive!) 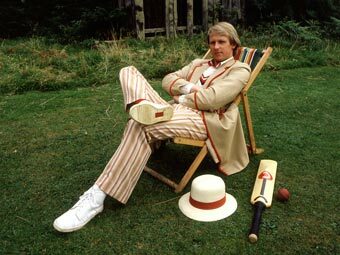 It may or may not be a coincidence that my cricket-playing gang at school was also a gang of Doctor Who fans, and these were the years when the Fifth Doctor wielded the willow. 'More of a tennis player than a cricketer,' he sniffed derisively of one meglomaniacal villain. Ah, how we loved him! Even cricket players in fiction seem conscious of their own literary heritage. In The Cricket Term, Nicola confesses to a longing to be recognised by her 'singularly distinctive late cut' like Peter Wimsey - whose disguise is betrayed, in Dorothy L. Sayers' Murder Must Advertise, by his unmistakable batting style. And possibly when I was mucking around on the hockey field, I was thinking of Nicola and her team's unlikely victory over the Sixth in the Kingscote Cricket Cup. I once wrote a sort-of cricket story of my own, called 'A Gap In The Field,' though it was about watching cricket, rather than playing it. Well, that's not my idea of what cricket is all about. Give me a sport where you can bring along a novel and a radio, where the reading and the listening and the watching all fuse into a meditative, dream-like whole. That's what I call summer. How far, and how tragically little, we have travelled since then. At the moment, the box contains oregano, carrots, mini marigolds and a fern. Her bonsai ficus is not, strictly speaking, part of the box, but it does spend some time on the window sill. The tree attracts varied bird life. The oregano has gone beserk since being brought back from the Show as a tiny free seedling in an eggcup. We need to find some more oregano recipes. The carrots have been savagely thinned, and are being saved for Christmas dinner. I've never heard of anyone growing carrots in a window box. They are certainly very luxuriant; whether or not the roots are equally flourishing remains to be seen. Wildlife hiding beneath the fern. On Friday, my good mate Penni and I flew up to Sydney for the NSW Premier's Literary and History Awards. We were looking forward to a fancy dinner and a night away in a nice hotel, but we also couldn't help feeling quite sick with nerves. The Awards organisers had made the decision not to notify winners in advance - which meant that most of the short-listed authors and historians were there on the night, but it also made for a lot of tension in the room! 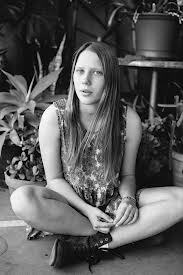 Well, as you can see from the picture above, it was a good outcome for Crow Country, which won the Patricia Wrightson Prize for Children's Literature, and also for Penni's Only Ever Always, which won the Ethel Turner Prize for Young Adults. Being able to celebrate with one of my best friends made the night incredibly special; needless to say, we both found it quite hard to sleep that night, and the next morning we were wandering around still in a daze (and occasionally pinching each other). It seems that war friends form lifetime bonds, except when class and/or race enter the equation. Such is the basis for this compelling story set in a small Australian country town. Manslaughter, cultural secrets and unrequited love give rise to the tensions and ill-feelings that linger into the second generation. When Sadie unwillingly moves with her mother to the little town of Boort, the thirteen-year-old finds herself in conversation with a crow who embroils her in a mystery from her family’s past. When she time-slips into the body of her namesake of two generations ago she is caught up in a class-race conflict. Constable has cleverly let Sadie participate in her past history without changing it, which allows her to be the keeper of an enormous and troubling secret in her own time. Constable’s characters are beautifully rounded and real, from the family in the past to old Auntie Lily, an Aboriginal elder. This is a multi-layered story, beautifully told, with themes interwoven through three generations; the prejudices and mores of the 1970s persist into the twenty-first century with black-white friendships frowned upon in both parents and children. The Indigenous connection to the land is a major theme, with a sacred circle of stones being exposed when drought causes the dam water to recede and the old town to be revealed. As in life, sport becomes the common bond as truths win out and secrets are fought for and kept. At the start of each chapter a small black crow sits on the black number while the cover illustration signals the stark ravages of drought with a large crow demanding attention as it does throughout the book.